1. Skincare! Specifically, the soap and face oil from Brown & Coconut that I have been using all this week. The company is local to Boston and it's run by two sisters. I encountered them at a crafty-stuff market last weekend and now I am in love. If you like supporting businesses run by women of color who make really fantastic (and hella aesthetically pleasing) products, please get on this. 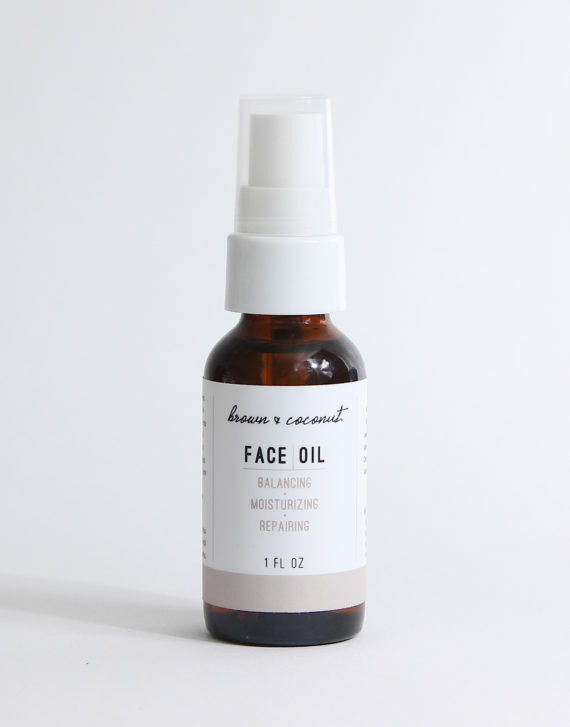 The face oil in particular is making my sad, sad New England-winter skin so very happy. You can get 10% off by using the code BCIG (from their Instagram). Relatedly: Go to local crafty-stuff and farmers markets! Support your local makers, bakers, and growers! That stuff is so great and so necessary! 2. Books! I just started Kevin Wilson's Perfect Little World today as my new #FridayReads and while I haven't gotten very far yet, I think I'm going to like it a lot. (It was my February Book of the Month pick; insert semi-regular plug for the greatness of the new Book of the Month Club here! You should sign up!) It seems like an interesting pairing with another book I recently finished, Brit Bennett's The Mothers. Books are always a necessity in troubling times both for pure pleasure and escapism, but also for the radical acts of empathy and critical thinking and engagement that the really good ones elicit from their readers. Don't stop reading! 4. Music! or...Something Like It! So, Neil Cicierega's Mouth Moods has been out for a while, and making me...happy? confused? bemused?...for a while. But I'm not sure it will ever stop being fascinating. Mostly I'm mad that it didn't exist while I was trying to teach the concept of postmodernism to my students during my grad school years, because I feel like we could have spent some very productive class hours on it and I would have loved to turn it into a paper assignment. The kinds of synapse connection and higher-level analysis this kind of work encourages are astonishing to me. It's mind-boggling in the best, most bizarrely pleasurable way. 5. Podcasts! Of course! My most recent addition to the regular lineup is John Moe's new show, The Hilarious World of Depression. It's not perfect, but it's a really interesting place for discussion and expression and yes, some comedy. I hope he has more guests who are female or at least not cishet male in his second season, but I'm glad this show exists and I'm really looking forward to hearing more. And there are only 9 episodes so far, so you can catch up before it comes back! I hope some of this nonsense will inspire you to seek out happiness this weekend, whether in the form of a visit to a farmers market, a new library book, or a deep dive into the postmodern aesthetics of mashup culture. And if there's anything, ANYthing that's giving you some small modicum of pleasure, peace, or joy right now, please share it. We can all use a little more of those things right now!